As always, iFixit has gone deep into the latest smartphone to figure out what it’s made of and how easy it is to repair. This time the company delves deep into the iPhone X to see what’s inside the 18th iteration of the iPhone. 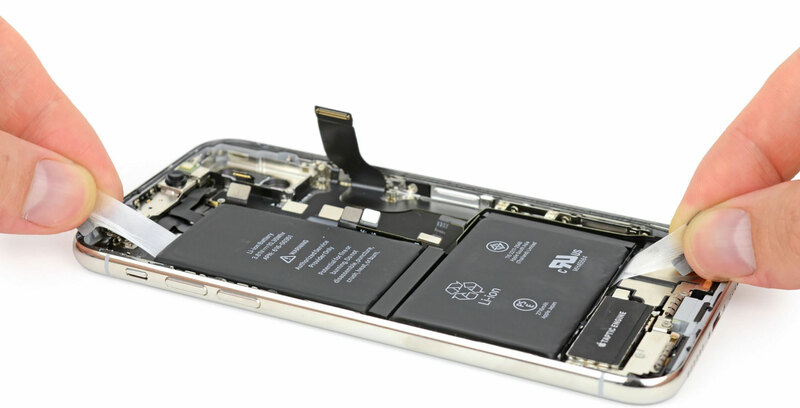 Using an x-ray scan before the actual teardown, iFixit found the iPhone’s two battery cells, a super tiny logic board, front-facing speakers and a shifted-down earpiece. There was also what iFixit describes as a “mysterious chip” between the Taptic Engine and the lower speaker. The teardown first revealed that the pentalobe looked quite unfinished, and the bottom scews were more like pins than screws. During the teardown the screw moved the threaded section from the iPhone X’s display to its steel frame and extended the unthreaded section into a long pin. iFixit says this is likely to allow the display to be a bit more flexible. From there the device opened up sideways, revealing a very dense logic board. After completely removing the display, which the mysterious chip is attached to, what was left behind were the two battery cells taking most of the room while the logic board shrunk significantly. The camera sensors are secured to the rear case with foam adhesive to prevent things from moving around. Surrounding the glass covering the camera housing are tiny spot welds which are likely there to hold the walls of the camera bump to the case. Afterwards, they were able to remove the logic board, which was 70 percent of the size of the iPhone 8 Plus but contained a lot more technology. Apple did this by folding the logic board in half. The two halves are soldered together, and when separated take up 135 percent of the iPhone 8 Plus’ logic board. This was the first time Apple has done this since the very first iPhone. The logic board consists of components such as the A11 bionic chip, the Qualcomm MDM9655 Snapdragon, Apple WiFi Bluetooth module, Qualcomm’s gigabit LTE transceiver and more components. The iPhone X packs a 2716mah at 3.81 volts, divided between two batteries. The dual-cell design doesn’t actually provide more battery capacity, but allows Apple to use more creative shapes. iFixit also looked into the TrueDepth camera system, which comes from PrimeSense’s technology that created Microsoft’s first Kinect. The front-facing camera first have to confirm the presence of a face and then the infrared dot project a grid of dots over your face creating a three dimensional map of someone’s face and then sends the data to the iPhone. 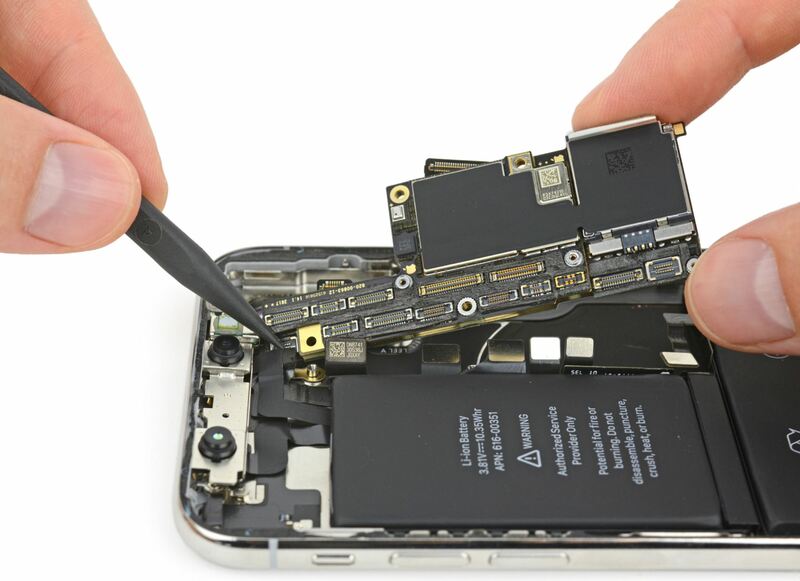 Head over to iFixit to read the full teardown.